We’ve said it before and we’ll keep saying it because not only is it true, it is increasingly essential in the delivery of healthcare to rural Americans: When it comes to grit, true grit, the women and men managing and working in rural hospitals have it in spades! In this, our fourth annual True Grit issue of HealthSure Headlines, we take a behind-the-scenes look at the type of grit it takes to become recognized as one of the very best rural hospitals in the country. Our feature article is adapted from one of the monthly webinars HealthSure hosts in our role as manager of the Rural Hospital Insurance of America program (RHIA). RHIA is an exciting program that comes at a time when our hospitals need it most. If you are looking to leverage your buying power and collaborate with other rural hospitals, join the RHIA conversation and your voice will be heard. Change never comes to the party alone; risk is its constant companion. Turning risk into an asset starts with embracing change by summoning enough grit to override the natural desire to stay within your comfort zone. While the people behind the success of Hill Country Memorial (HCM), in Fredericksburg, Texas would be the last to brag about how much grit they have – and they have it by the truckload – embracing change has brought huge rewards along with national recognition. 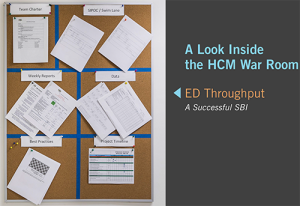 The HCM team has been on this journey for many years and what’s most impressive is how they have engaged every employee and manager – plus the other stake holders in the community – in the achievement of what they call Strategic Breakthrough Initiatives (SBIs). Their progress has been driven by three powerful elements the HCM team put into place at the outset: HCM’s mission, vision, and core competencies. HCM’s vision is to Empower Others and Create Healthy. They have instituted many practices to prevent harm, which creates healthy in their community. That vision is applicable to all of the services HCM offers. Jayne explains, “We want our community to be empowered… our patients to be empowered, and I absolutely need for those people who are next to the bedside, who understand the needs of those they serve, to be empowered.” Healthcare is very complicated and HCM keeps it simple. It is about healthcare, not about sickness care. Jayne recalls the first time she entered HCM, “I knew there was something special about the hospital. 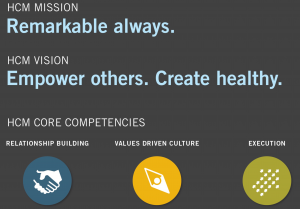 I repeatedly heard that throughout the organization.” The first step was for the executive team to ask themselves, “What is it that’s special?” Identifying the hospital’s greatest strengths helped them identify the three core competencies. The first one is Relationship Building. HCM builds relationships with their community, patients, and team. Hosting a variety of community events provides the team the opportunity to listen to their community. The team meets with the patients to ensure they are meeting their needs. HCM builds relationships with their team through a very structured process. One of the remarkable aspects of HCM’s success has been its ability to engage the community and all other stakeholders. 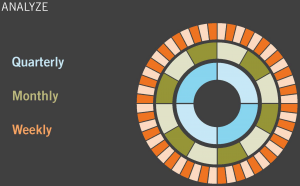 There is an ongoing conversation that drives the creation of HCM’s strategic plan. HCM publishes its strategic map for all the world to see. It’s is not a dusty old document but a living entity built on listening. HCM took what they learned from listening to identify the hospital’s Strategic Breakthrough Initiatives (SBIs) which make up the strategic plan. Emily Padula, HCM’s Chief Strategy Officer explains, “We have a strategy map, which is our big picture and tells us our measures of success for the year. Then, coming out of that, we have action plans, very specific, where we say, ‘How are we going to get to our measurable goals this year?’ Before the year even starts we assign those SBIs to operational scope or strategic scope. Generally, something is considered strategic if it requires executive level involvement.” A few examples are: HCM building a care navigation program, opioid stewardship program, and looking at cost reduction across the system. The executive team selects four to six projects every quarter and determines who’s going to lead the SBI. The leader could be a department director, a frontline team member, or a volunteer. It depends on who the stakeholders are in the process. Over half of HCM’s team members have participated on an SBI team. Once that leader has been selected, Emily meets with them to work on their charter. That charter defines who’s going to be on their team, their measures of success, their deliverables, and the work they will accomplish. Together they determine the metrics to define a successful quarter. Monthly: HCM reviews their progress and checks that all the appropriate action is being taken. For example, every executive meets with each of their directors every month to review progress on their 90-day plan. Weekly: HCM conducts a Tuesday extended huddle, to review the dashboards of all of their key measures of the strategy. Emily brings quality and safety reports to review during the huddle. The Chief Nursing Officer brings the patient experience survey results report every week. The Chief Operating Officer looks at productivity and volumes reports. HCM frequently checks on their performance, therefore rarely are they surprised by an outcome. Healthcare pioneers like Jayne Pope and her team are taking a different path. They recognize that change brings opportunity by accepting some level of risk. The pay back is continuous improvement, significant cost control, an increased ability to control what their future will be, and the successful achievement of their mission. Please Note: If you would like any of Hill Country’s SBI tools, contact HealthSure and we will help you get them. What if you knew your rural or critical access hospital could become obsolete in the near future? Would your job be to keep your hospital open no matter what? Would you fight tooth and nail to make sure your hospital was the proverbial “last man standing”? Or, would you find new ways to deliver the best possible healthcare to your region? Questions like these have been answered by a group of rural hospital leaders who decided to stop competing and start collaborating to ensure a future for their hospital in rural healthcare delivery. 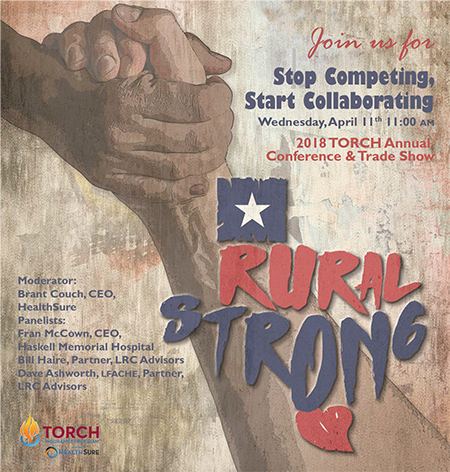 Join the TORCH Insurance program manager and a panel of hospital executives as they explore how a growing number of rural hospital CEOs have been collaborating to make sure there is healthcare on the ground in their communities three to five years down the road. Join us at the TORCH Conference, Wednesday, April 11th at 11:00 am, you will learn how hospital leaders just like you are looking beyond individual survival and discovering how they can have more strength in all areas as a group. Fran McCown, CEO at Haskell County Hospital District for 9 years. HCHD includes a CAH, a primary care clinic and walk in clinic. Prior to that, Fran was the CFO for 23 years at rural facilities with 14 of those years at Rolling Plains Memorial Hospital in Sweetwater. She holds a Bachelors of Business Administration in Accounting from Texas Tech University in Lubbock. And, she has been a member of the board at the Texas Organization of Rural and Community Hospitals (TORCH) for 4 years. David C. Ashworth, LFACHE, founding member of LRC Advisors. David is a seasoned health system executive whose career has been focused on system strategy and development. Most recently, he served as president of a national health care real estate development company. LRC Advisors was formed specifically to partner with rural health care providers and community leaders in visualizing and planning realistic and sustainable paths forward. Bill Haire, founding member of LRC Advisors. Bill has decades of experience as a hospital executive, health system COO, and physician group practice executive throughout the south central United States. In his role as an LRC member, Bill assesses the strategic, market and operational situations facing rural healthcare providers, with the goal of helping them visualize a realistic and sustainable future along with a road map for navigating that future. Brant Couch, CPA, CIC is the president of HealthSure, the TORCH Insurance Program manager. Brant is known for his precise understanding of hospital finance and ability to see beyond traditional, worn-out strategies. He is directly involved in the design and implementation of risk and insurance management solutions that are keeping rural and critical access hospitals safely ahead of the game. Congratulations to Jayne Pope as CEO of Hill Country Memorial Hospital and John Henderson, as CEO of Childress Regional Medical Center, on being on Becker’s Healthcare 50 Rural Hospital CEOs to Know 2018 list. Becker’s Healthcare recognized 50 rural hospital CEOs to know in 2018. The CEOs featured on this list have overcome significant challenges operating rural community and critical access hospitals to lead sustainable and thriving organizations. Many CEOs have served their institutions for decades, recruiting physicians, expanding services and implementing technology platforms to ensure the best care possible for their communities. Becker’s Healthcare accepted nominations for this list and considered leaders making a positive impact on their organizations. The CEOs featured lead hospitals consistently recognized by the National Rural Health Association, American Hospital Association and HIMSS as top institutions; others sit on local chamber of commerce boards and serve state hospital associations. HealthSure would like to congratulate and wish the best of luck to John Henderson in his new role as TORCH CEO. Earlier this year the TORCH Board of Directors announced, “The TORCH Board is extremely excited to have John join the organization and look forward to his leadership as the future unfolds. We congratulate and welcome John into this new role and offer him our support as he directs our organization.” John started his new role April 2nd. As the TORCH Insurance Program Manager, HealthSure’s team has had the pleasure of working with John in his previous role as CEO of Childress Regional Medical Center. We would like to wish John the best of luck for his first week. We look forward to working with him in the future. 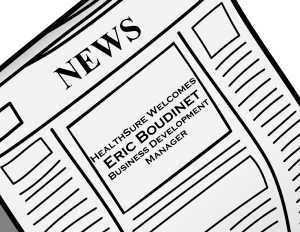 We are delighted to announce Eric Boudinet has joined HealthSure as a member of our Employee Benefits team. As a trusted advisor, Eric is not afraid to get in the weeds with his clients and act as a team player, not just a consultant. He knows his client’s wear many hats and look to him as the expert in the field of risk management. Eric’s number one goal is ensuring his clients have the best plans and strategies for their specific needs and achieve the best possible results on a consistent basis. Eric brings over 6 years of experience in the executive consulting and human resources/benefits arena. Prior to joining HealthSure, he worked as an HRIS and benefits technology consultant, helping clients achieve maximum ROI and create programs to ensure best practices. He believes forming true partnerships with his clients is essential to ensuring they get the best value and returns possible.